Much like Pattersons, The Scottish Fine Soaps Company are a family owned businesses with four generations of the family working hard behind the scenes to create high quality products. Blending unique and beautiful ingredients and fragrances to create bath and beauty collections, the Scottish Fine Soaps collection are an ideal complement to any guest accommodation as well as the hospitality sector in restaurant bathrooms and hotels too! Scottish Fine Soaps make over 95% of their beautiful soaps in Scottland, whilst everything is made with quality, natural derived ingredients. That means you won’t find any Parabens or Microbeads in these guest accommodation soaps and you’ll be happy to hear they are not tested on animals either! 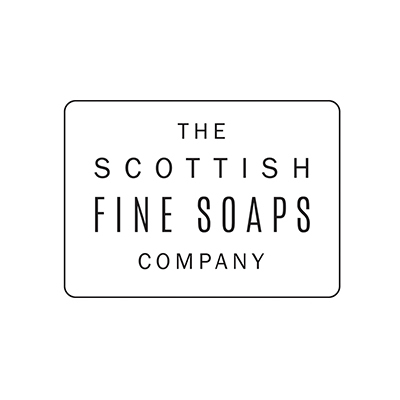 The Scottish Fine Soap collect offer an attractive and high quality washroom solution to hand soaps and offer a perfect addition to your restaurant and hotel bathrooms that is sure to wow your guests! Here at Pattersons, we understand how important good hand hygiene is with our hand wash and soap selections, but we also know how important it is to also source quality and attractive soaps that will impress your guests. Shop our natural hand soap range online today or contact our friendly team on 0117 934 1270!